Planning a room from scratch can be daunting – but the beauty of it is that you have a huge amount of creative freedom at your fingertips. Designing the perfect room for your home doesn’t have to be stressful. Here’s our guide to taking a completely blank canvas and creating a space you’ll love, covering the key factors to consider before making any purchases. First, decide on a theme. That may sound overwhelming, but we promise it’s easier than it seems. 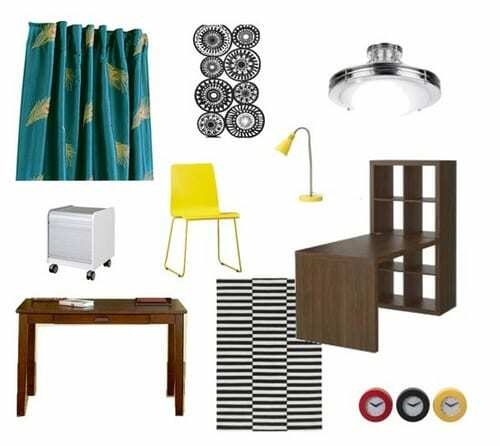 A good place to start is to create a mood board. Explore sites such as Pinterest and collect the images that catch your eye. Or build your own physical board filled with fabric swatches, wallpapers, paint samples, and cut-out pictures from magazines. This will give you an idea on complementary colours and textures that you would like to include in the room – as well as rule out certain concepts. Whilst looking at what’s available on the market, it’s always useful to set a budget. This will automatically narrow down the type and brand of furniture and decorations that you can choose from, without hindering your creativity. Only have a small amount to spend? Check out our blog on creating a beautiful home without loosening the purse strings. Before you decide on fittings and furniture, it’s essential that you’re aware of your room’s dimensions, including window and ceiling heights and access point measurements. This will dictate where you can install certain key pieces of furniture such as beds and fitted storage, and even radiators and curtains. At the same time, identify any problem areas. 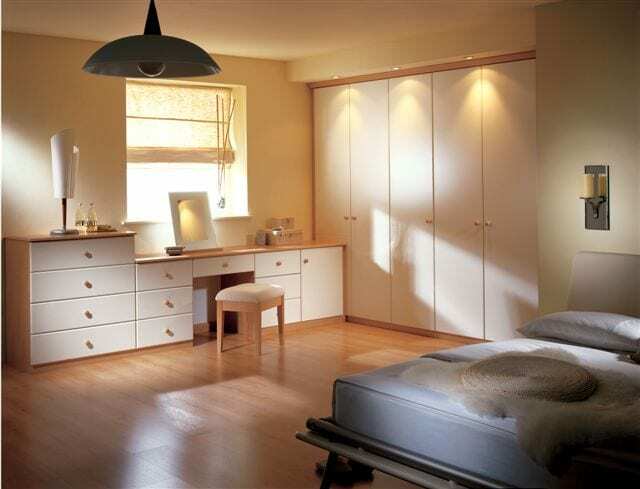 An oddly shaped room or very limited space will mean you’ll require specific furniture pieces (a built-in wardrobe with sliding doors as opposed to outward-opening ones, for example), and it can also help you to decide on a colour scheme (light colours contrasted with darker feature walls will give the illusion of a more open space). To visualise potential layouts, you could use a room planning app or create a scaled-down floor plan. As you’re assessing your space, take note of where the light falls. If you’re planning to watch the TV, you want to make sure that it’s not in a position where the sun will bounce off the screen. The amount of light that enters the room throughout the day and during different months of the year will also direct you to devising ways of boosting the room’s natural light or finding ways of controlling it – black-out curtains are a popular option for bedrooms, for example. Whilst it’s tempting to fill your dream room with various items and ensure that every corner and wall is decorated, bear in mind that you’ll no doubt want to buy additions in the future. Therefore – as well as making a room feel, well, roomier – free space gives you more creative freedom in the long run. Designing a room from scratch is a big project. Take time to consider storage, colour schemes and the flow of the room. We recommend prioritising the permanent features and crucial aspects such as wall decorations and flooring, leaving accessories until last. This type of planning does require careful thinking, but remember to have fun – it should be a really enjoyable experience! Does your vision of a perfect room feature bespoke furniture? Get in touch with one of our professionals on 01756 700471. We’ll provide expert and creative design advice that’s tailored to your home and we are more than willing to arrange a design visit.